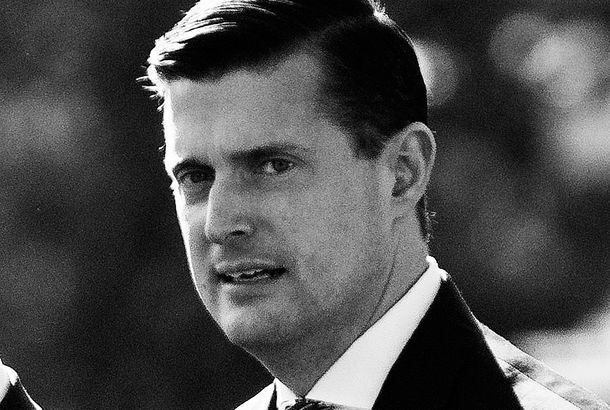 Trump Hasn’t Rehired Rob Porter, So Apparently His Love of Chaos Has a LimitHe’s reportedly told advisers that he hopes the alleged domestic abuser will return to the White House — but he knows that can’t happen. What Hope Hicks Learned in WashingtonThe departure of the Trump whisperer has left the White House in even deeper chaos. Which surely pleases some outsiders angling to get back in. Kelly Orders Changes to Security Clearance Process at White HouseUnder the new policy, many staff members could have their access to classified information revoked as of next Friday. Donald Trump Says That He’s ‘Totally Opposed to Domestic Violence’This comes in the wake of the Rob Porter scandal. House Oversight Begins Probe Into White House’s Rob Porter FiascoWhat did the Trump administration know and when did they know it? The FBI Just Foiled John Kelly’s Cover-upThe Bureau reveals it completed Rob Porter’s background check months ago — and that the White House knew about the abuse allegations last summer. Rob Porter’s Ex-Wife Colbie Holderness Writes Moving Essay About Surviving AbuseColbie Holderness also had a personal message for Kellyanne Conway. Trump Aides Galled by Criticism of Their Awful Rob Porter ResponseAs Sarah Huckabee Sanders refused to provide details on the alleged abuser’s exit, Kellyanne Conway quibbled over an essay by his ex-wife. Rob Porter Denied Punching Wife’s Window, Admitted Breaking It With KnuckleA very fine-grained explanation from the fired White House aide and alleged domestic abuser. Trump Sees Himself in Every Man AccusedTo him, accused abusers like Rob Porter are the real victims. All the Cast Changes to Your Least Favorite Reality ShowRob Porter, Omarosa Manigault, Steve Bannon, and everyone else who has left the White House in disgrace. Rob Porter’s Ex-Wife Publishes Powerful Essay About Sexual ViolenceJennie Willoughby won’t let Donald Trump diminish her truth. Kellyanne Conway Says Trump Has Full Confidence in John KellyBut others are offering differing accounts of what Kelly knew about Rob Porter and when he knew it. Donald Trump Thinks Lives Are Being ‘Shattered and Destroyed’ by #MeTooHe’s worried about due process. 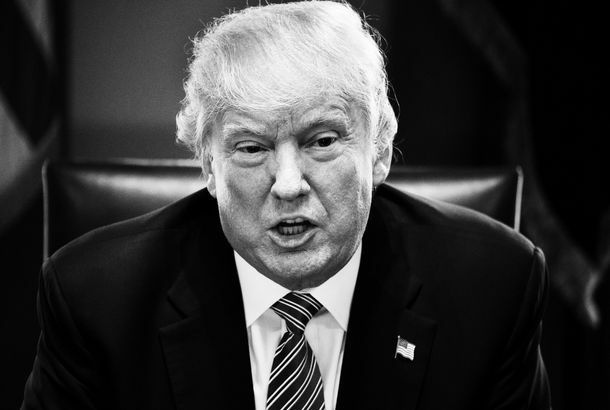 Trump Should Be More Honest About His JerkinessThe president’s laughably flimsy justifications for his outrageous opinions are embarrassing and unnecessary. Report: Dozens of White House Staffers Still Lack Full Security ClearancesRob Porter was far from the only person in this category. President Trump Complains, Laughably, About ‘Due Process’If there’s one thing that keeps him up at night, it’s this. White House ‘Boys Club’ Reportedly Didn’t Handle Domestic Violence Scandal WellAccording to female staffers in the West Wing. John Kelly Told Trump He’s Willing to Resign: ReportThe president is considering replacing the current chief of staff with the chairman of the far-right Freedom Caucus, Mark Meadows. 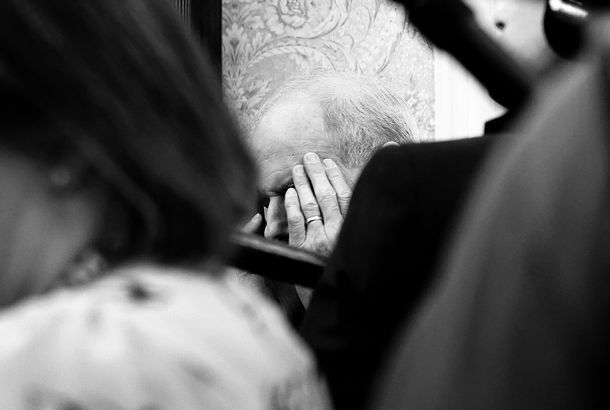 White House Chief of Staff Is Lovin’ LifeJohn Kelly looked a little miserable as he watched Trump defend a domestic abuser — after Kelly did exactly the same thing. Trump on Rob Porter: He Says He’s Innocent, You Have to Remember ThatPorter is accused of physically and emotionally abusing two of his ex-wives. Report: White House Officials Knew of Rob Porter’s Abusive Past for MonthsThe White House staff secretary resigned after two ex-wives alleged that he had abused them. John Kelly’s Mission Was to End the Trump Drama. Now He’s at the Center of It.Trump is said to be so annoyed about Kelly’s handling of the Rob Porter abuse claims that he’s eyeing replacements, and complaining to Reince Priebus. Rob Porter’s Ex-Wife Says He Asked Her to ‘Downplay’ AbuseInstead she went on CNN. Kelly ‘Shocked’ by Porter Abuse Claims, Which the White House Already Knew AboutThe White House chief of staff released a statement condemning domestic violence — but said he also stands by previous comments praising his aide. White House Staff Secretary Resigns After Abuse AllegationsRob Porter’s ex-wives came forward and said he physically abused them.